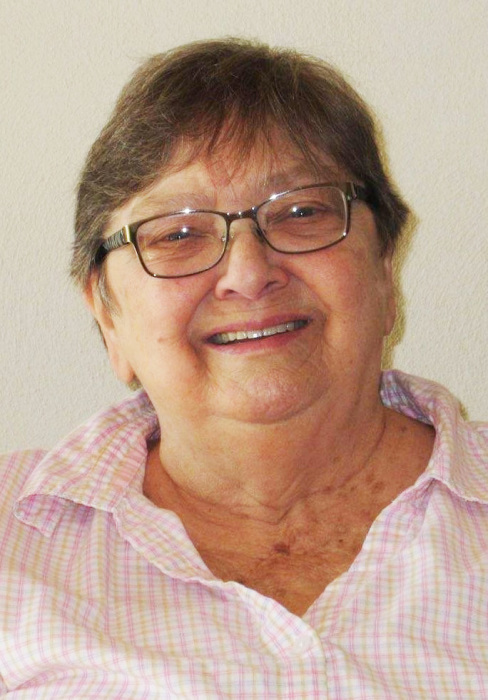 Bonnie L. Rodts-Cook, 72, of Bettendorf, Iowa passed away on Sunday, April 7, 2019 at the Clarissa C. Cook Hospice House, Bettendorf. A gathering to celebrate Bonnie’s life will be held from 10:00 a.m. to 12:00 p.m. Noon on Saturday at McGinnis-Chambers Funeral Home, Bettendorf. Per her wishes, cremation rites have been accorded. Memorials may be directed to the family. Bonnie was born on July 30, 1946 in Chillicothe, Iowa, the daughter of Edward and Clara (Shilling) Kelsey. She was raised in Eddyville, Iowa and graduated from Eddyville High School in 1964. In 2006, Bonnie retired from Oscar Mayer after 20 years of service. She enjoyed watching Cubs baseball, being outdoors sitting on her porch, and gardening. Those left to honor her memory are her children, Belinda Hull of Bettendorf, Ron (Cathy) Hull of Grand Rapids, Michigan; siblings, Becky Kelsey of Des Moines, Iowa, Paul Kelsey of Des Moines; 4 grandchildren, Rochelle Hull of North Liberty, Iowa, Kelsey Vanderveer of Bettendorf, Jay Hull of Grand Rapids, Katrina Hull of Grand Rapids; her faithful canine companions, Snickers and Cocoa; a great-grandpuppy, Lilly; and numerous nieces and nephews. In addition to her parents, she was preceded in death by siblings, Marie Forney, Mary Major, Eddie Kelsey, Keith Kelsey, and Lloyd Kelsey.